North Korea pledged to destroy the testing ground after Kim Jong Un ,last month, declared the country's nuclear force complete. 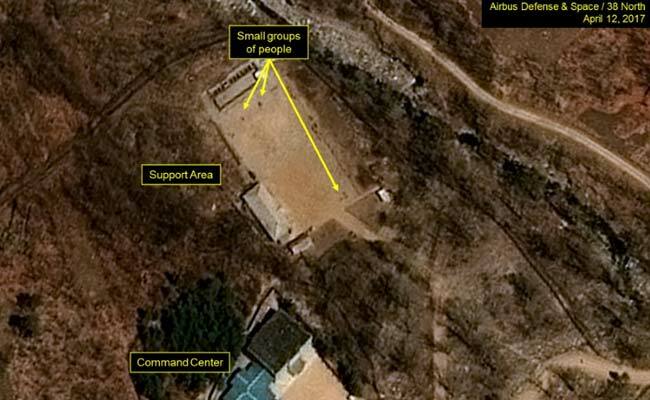 Seoul, South Korea: Satellite photos indicate North Korea has begun dismantling its nuclear test site ahead of a historic summit between leader Kim Jong Un and President Donald Trump, a US monitor said Tuesday. In a move welcomed by Washington and Seoul, North Korea said at the weekend it will "completely" destroy the Punggye-ri test site, in a ceremony scheduled between May 23-25 in front of invited foreign media. Punggye-ri, in the northeast of the country, has been the site of all six of the North's nuclear tests, the latest and by far the most powerful in September last year, which Pyongyang said was an H-bomb. North Korea pledged to destroy the testing ground after Kim last month declared the country's nuclear force complete and said it had no further need for the complex. The respected 38 North website said Tuesday that satellite images dated May 7 showed "the first definitive evidence that dismantlement of the test site was already well under way". Several key operational buildings as well as smaller sheds had been razed and rails connecting the tunnels to their waste piles were removed, the monitoring group said. Excavation of a new tunnel has also been halted since late March, it added. Images showed preparatory work for the destruction ceremony had also begun, including a newly positioned foundation among the waste piles presumably built for the invited journalists. "It is conceivably for a future camera position to record the closure of the West Portal," the group said. However no tunnel entrances appear to have been permanently closed and some main buildings are still intact, it added, saying that work will likely be carried out in front of the foreign media. Dialogue brokered by South Korea has seen US-North Korea relations go from trading personal insults and threats of war last year to a summit between Kim and Trump which will be held in Singapore on June 12. Washington is seeking the "complete, verifiable and irreversible denuclearisation" of the North and stresses that verification will be key.